The Italians close the La Manga tournament with the victories won over Sweden and the USA and the defeat of size suffered by Norway. Positive performances that bode well and widen the park that is nominated for the Bertolini National Team. The journey is still long but the future is there for us. For 2-0 against the United States, the adventure of the Under 23 women's national team at the La Manga tournament ends with a clear and deserved victory. 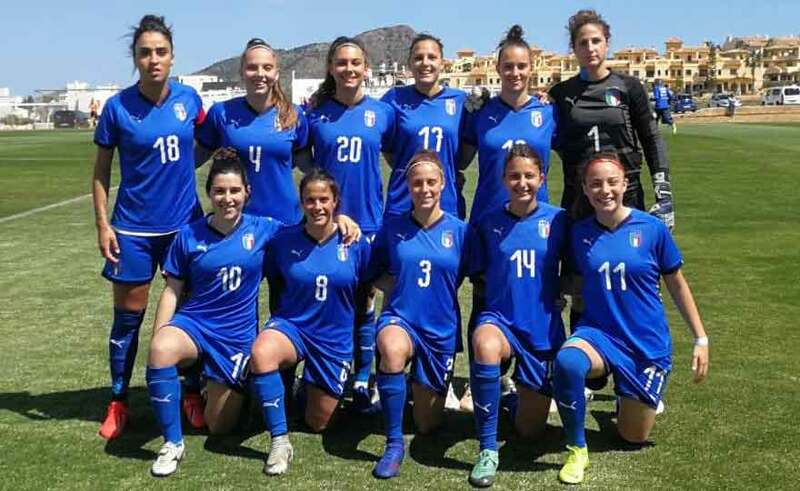 Against three listed opponents, with a great tradition of women's football, the Azzurrine have won a total of two victories in three races, defeated only - undeservedly - in the opening match against Norway. "The total balance of this event - commented coach Jacopo Leandri - can only be extremely positive. The only regret concerns the first race ko, where we missed a time; but it is also true that, on points, we would not have absolutely deserved a defeat. " After the clear statement on Sunday on Sweden (4-1 the final result), this afternoon the Under 23 women's national team granted the encore, overcoming the United States thanks to Agnese Bonfantini's seals - at the opening of the competition, after just three minutes of game - and Gloria Marinelli (33 'st), at her third marking in three races. "We succeeded - continues Leandri - in immediately unblocking the confrontation, but what I liked most is that we never changed our attitude, continuing to attack. And this is precisely what the coach and coordinator of the women's national team, Milena Bertolini, asks of us: a net change of mentality, which always leads us to impose our game. In these three tournament races we have overtaken Sweden and the United States, which undoubtedly represent the top teams worldwide. The girls faced the races well and offered top-level team performances: they are prospective players and I really believe that the future of women's football in Italy can only be rosy. " Forwards: Claudia Ferrato (Sassuolo), Eleonora Goldoni, Gloria Marinelli (Internazionale Milano), Martina Piemonte (AS Roma). Secretary: Roberto Guidotti; Athletic trainer: Franco Olivieri; Goalkeeping coaches: Antonio Chimenti and Gianmatteo Mareggini; Doctor: Sebastiano Porcino; Physiotherapist: Camillo Piastra.